A Pokémon Treasure Chest! 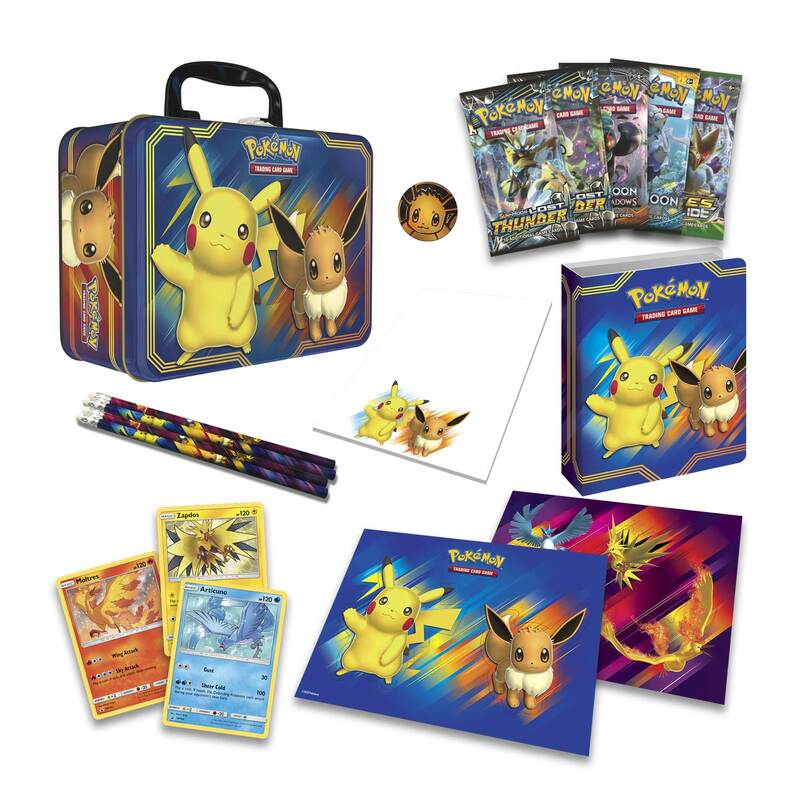 This sturdy metal case contains more than a dozen Pokémon goodies, including many not found anywhere else: 5 Pokémon TCG booster packs (Each Sun & Moon Series pack contains 10 cards and 1 basic Energy. 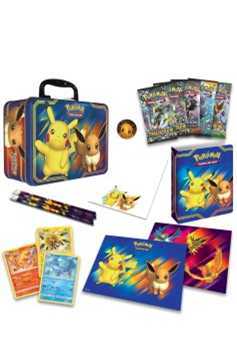 Each XY Series pack contains 10 cards.) 3 foil promo cards featuring Articuno, Zapdos, and Moltres A cool Pokémon coin 2 colorful sticker sheets A mini portfolio to store your favorite cards A Pokémon notepad and 4 pencils A code card for the Pokémon TCG Online Cards vary by pack. Packs and coin may vary by product..